RH.6-8.4 Determine the meaning of words and phrases as they are used in a text, including vocabulary specific to domains related to history/social studies. RH.6-8.10 (By the end of grade 8) Read and comprehend history/social studies texts in the grades 6–8 text complexity band independently and proficiently. Watch the video titled Roman Colosseum. 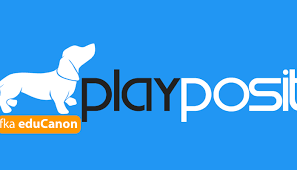 Answer questions on Playposit and write the correct answer on your sheet. Go to the Socrative link to answer some multiple choice questions to double check your notes. Go to Google Classroom and complete the Assignment titled Exit Ticket - Daily Life in Rome. Use your Notes to help you. Turn in when finished. 1. This is the last sheet of your packet. 2. Click on the link to the right. This link will take you to a Web Book titled "You Wouldn't Want to be a Roman Gladiator." If you have finished EVERYTHING in your PINK packet then you can work on this. Use the link below to get to that page of my website. There is lined paper in a blue bin under the missing assignment board if you need it!